I. Family Therapy—systems theory as it applies to the cult family. II. Abuse Recovery—learn about abuse, the common denominators of dangerous cults. III. Depth Psychology—Jungian therapy to heal spiritual abuse. IV: The Twelve Steps—recovery from the shady side of cult membership. V: Mind-Body Healing for Post-Cult Blues—overcome depression after the cult. 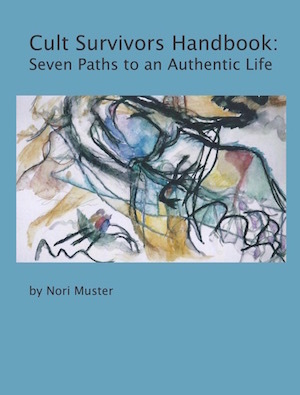 VI: Art Therapy and Gestalt—alternative therapies for cult survivors. VII: Post-Cult Spirituality—notes on keeping the good parts of an experience, while letting go of parts that didn't work. the Handbook is available at this site free - click here.